As Spring approaches, parents will be reaching for outdoor toys and children’s equipment. Baby strollers are one of the first products to come out. Before you use a stroller, check for loose or worn parts. Then find out if the stroller has been subject to a product recall or caused injury. You can check online now on the Consumer Product Safety Commission website. Baby Stroller Recalls. We started with baby strollers because there have been several baby strollers recalled in the past year, including Britax, Aria Child and Phil & Teds strollers. Britax has actually issued two sets of recalls over the past 15 months, one for 60,000 strollers in January 2016 and another for more than 700,000 strollers in February 2017. The Consumer Product Safety Commission (CPSC) has reannounced the recall of an unsafe baby stroller that is connected to 149 reported incidents, involving fingertip amputations, lacerations and other personal injuries. The CPSC reannounced the product recall of Maclaren strollers sold from 1999 to November 2009. The recall was reannounced in cooperation with the distributor, Maclaren USA, Inc., of South Norwalk, Conn. Approximately one million defective baby strollers were sold nationwide through various retailers, including Babies R Us and Target. 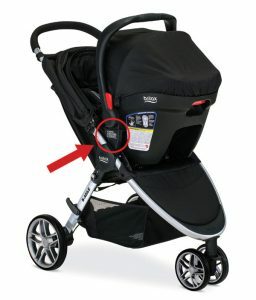 The strollers are defective because they have a hinge mechanism that can amputate a child’s fingers or cause a laceration when the consumer opens and unfolds the stroller. The CPSC advises parents to stop using the defective baby stroller immediately and contact the company for a free repair kit, which includes a fabric cover for the hinge mechanism. When the product was first recalled in 2009, the CPSC had received reports of 15 incidents, including 12 finger amputations. The CPSC made the reannouncement after the number climbed to 149, including 37 injuries that occurred after the 2009 recall. To date, the Maclaren stroller recall involves 17 overall reports of fingertip amputations as well as other serious personal injuries. 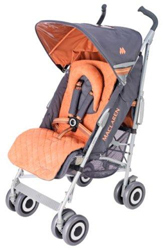 Parents can determine whether they have a defective children’s product by checking to see if the word “Maclaren” is printed on the stroller. If so, they should contact the company. The affected models are Volo, Triump, Quest Sport, Quest Mod, Techno XT, Techno XLR, Twin Triumph, Twin Techno and Easy Traveler. The recalled strollers are single and double umbrella models. Models sold after May 2010 have a different hinge design and are not included in the product recall. To learn more about contacting Maclaren, click here. Tagged: "defective baby stroller", "Maclaren stroller recall", "Massachusetts product liabliity lawyers", "Product Recall" and "recalled strollers"